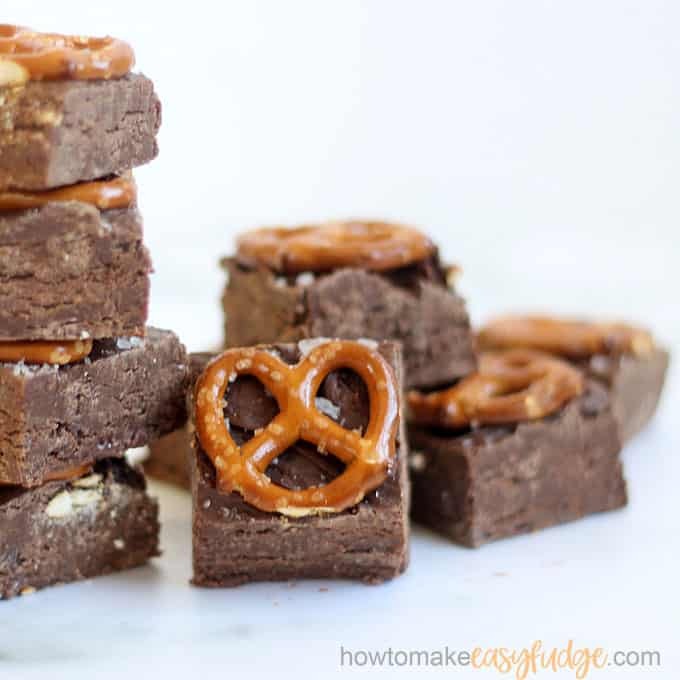 Sweet and salty meet in this delicious chocolate pretzel fudge recipe. Minutes to prepare, with only four ingredients, it’s the perfect treat for every occasion. When it comes to desserts, I’ll always choose sweet and salty. 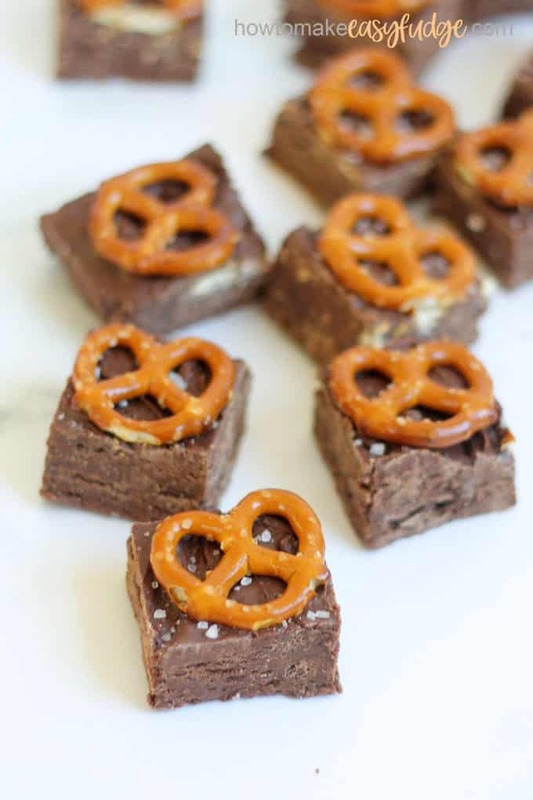 Chocolate-covered pretzels are a go-to, but this chocolate pretzel fudge is even better! 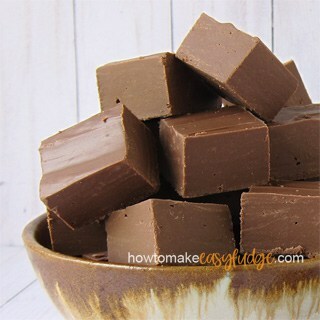 You need only four ingredients and can whip up this easy fudge recipe in minutes in the microwave. Package the fudge in cute containers for holiday gifts, or serve at any party for any occasion. We’re big fans of easy fudge recipes that skip the traditional candy-making steps. 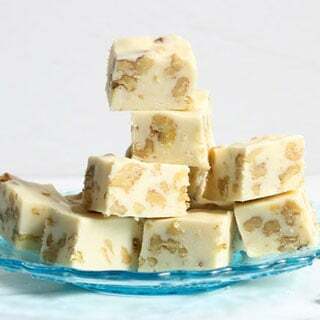 By using chocolate chips and sweetened condensed milk, you can make just about any flavor fudge you like! 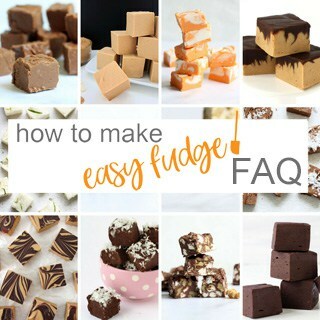 For everything you need to know about easy fudge, check out our FAQ page. Grease an 8-inch square baking pan with cooking spray or shortening, or line with greased parchment or non-stick foil. You can use a 9-inch square pan if that’s all you have, although the fudge will be a bit thinner. In a large, microwave-safe bowl place 2 2/3 cups semi-sweet chocolate chips. Microwave for 90 seconds at 70 percent power. Use the residual heat to stir the mixture well until the chocolate is fully melted and smooth. If necessary, microwave for additional 15 second intervals. Alternatively, melt the chocolate in the top of a double boiler or in a bowl on top of a saucepan of simmering water. Stir in a can of sweetened condensed milk until the mixture is very smooth. Pour the mixture and spread evenly into the prepared pan. Sprinkle two to three pinches of coarse sea salt over the fudge. Chill until well set, about two hours. 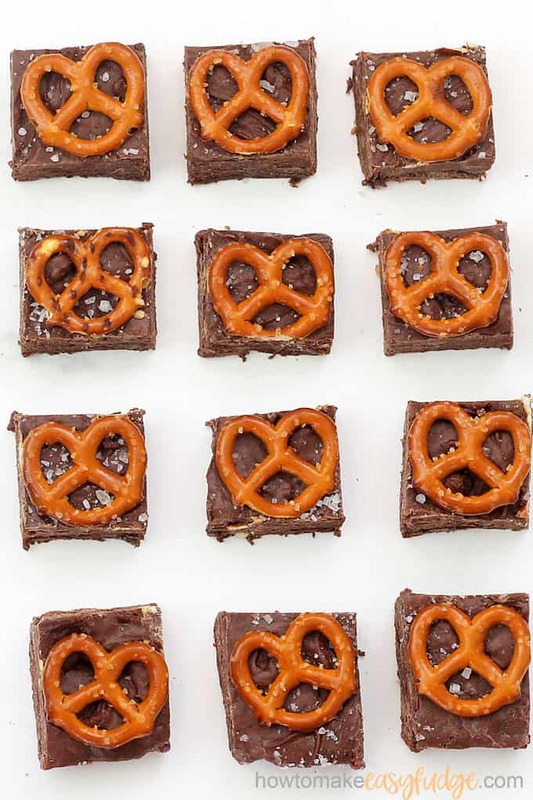 Cut into squares so that each square has a pretzel. Makes 20 to 25 pieces. Sweet and salt chocolate pretzel fudge is a delicious, easy fudge recipe with only 4 ingredients. Line an 8-inch square baking pan with lightly greased parchment paper or non-stick foil and set aside. In a microwave-safe bowl, place the chocolate chips. Microwave at 70 percent power for 90 seconds. Stir, using the residual heat to fully melt the chocolate until smooth. If needed, microwave at 30 second, then 15 second intervals additionally. Stir the sweetened condensed milk into the chocolate until the mixture is very smooth. Pour the mixture into the prepared baking pan. 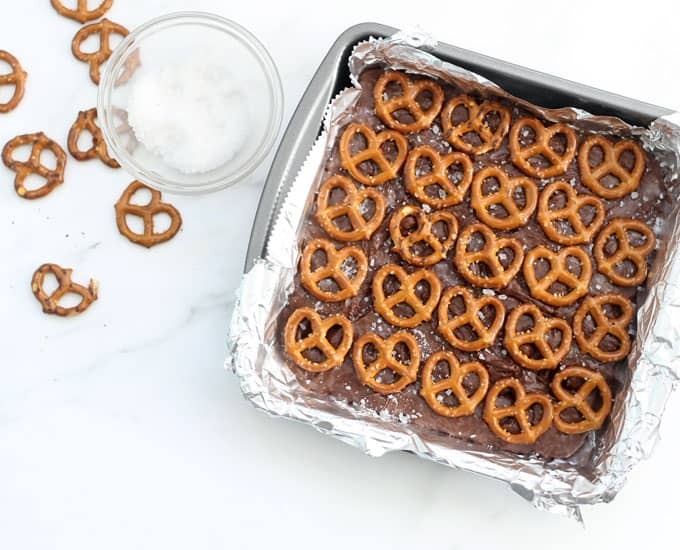 Top with pretzels. You should fit 4 to 5 pretzels across and 5 pretzels down for an 8-inch pan. Sprinkle the fudge with 2 to 3 pinches of coarse sea salt. Chill the fudge in the refrigerator until well set, about 2 hours. 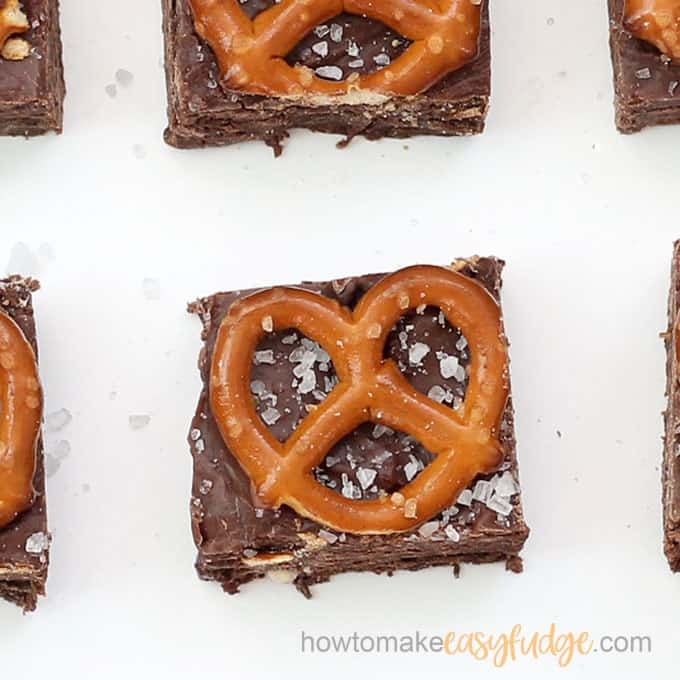 Cut into squares so one whole pretzel is on each square of fudge. 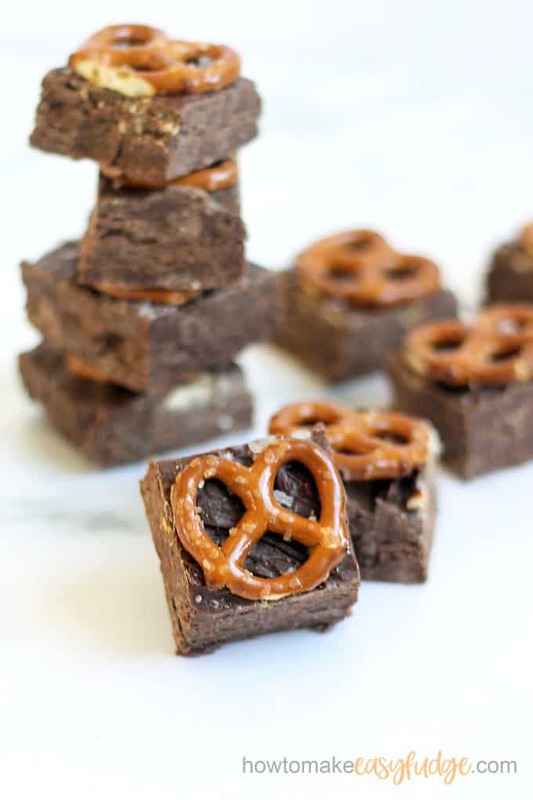 If you love sweet and salty treats as I do, here are so more fun recipes that combine pretzels and chocolate. 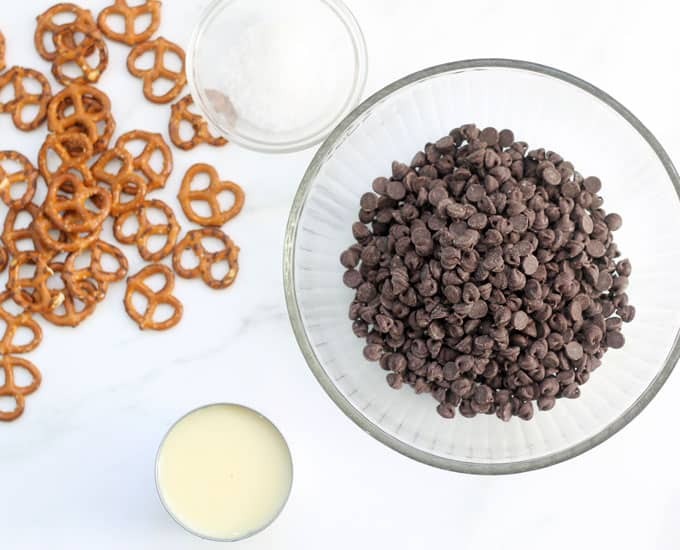 Make easy chocolate pretzel pops. 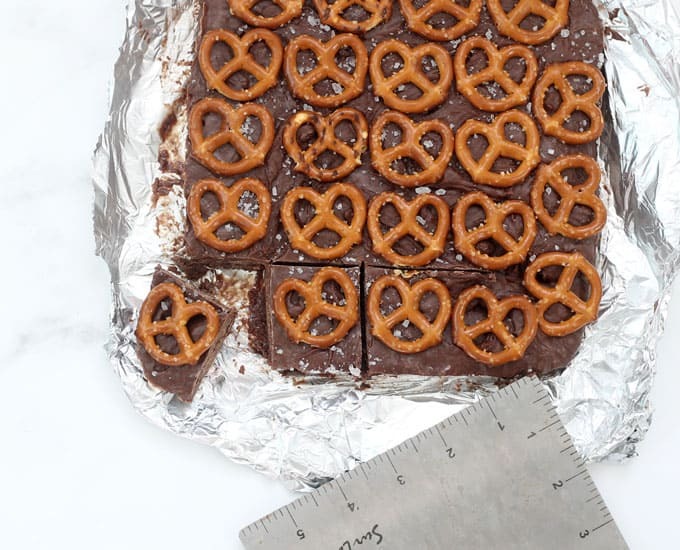 Try this peanut butter stuffed pretzel chocolate bark. Oh my to these chocolate pretzel cookies. Check out this dark chocolate pretzel cake. Snack on some white chocolate pretzel popcorn. 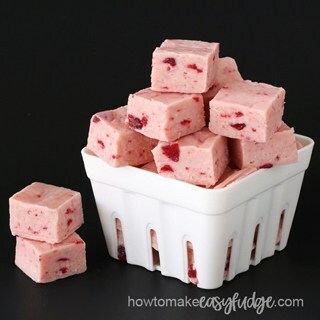 As I mentioned above, you can make just about any flavor fudge you like with our easy recipes. Sweet and salty is the best combination ever! All of the recipes on this site are easy to make and very tasty. Looking forward to trying this one!